The Walking Dead Chow Down – Shane Is Gone… Now What? Welcome to another edition of The Walking Dead Chow Down. If you watched Sunday night you saw Shane killed by Carl and Rick. And why not? Shane was a… zombie?! Who saw that coming? The Walking Dead Community (that be us!) are in slight shock. I find it interesting that two main characters were killed off the show so close together. While Shane was the loose cannon of the group with his conspiracy theories and begging Lori to run away with him, he was also the one who kept a sense of reality in the group. Toward the end of his reign of psychopathy, he just got weird. Right? I mean, especially the last episode when he was smacking himself… what was that all about? Here is the one thing that is annoying the hell out of me… how everybody was so damn giving with Daryl’s gun! Carl stole the gun (last episode) and failed to shoot the zombie with it (the same zombie that had Dale for a mid day snack). Remember Shane gave Rick Daryl’s gun as he told him about what Carl said about the walker. And Rick tells Shane to keep the gun! What? It isn’t your gun to give away man! How many of you were screaming at the television like me? Turns out, it behooved the group for Carl to have the gun in the end. All in all, some of the thought process in the show brings me to my knees and leaves me beating my head on the floor. Anyone else feel that way? It is good writing. We need to be frustrated and emotionally invested in the show or we would turn it off. Anyway – I felt like this episode was an “Amends Episode” of sorts. There was all sorts of apologizing going on before the carnage of zombies and death. It is so ironic how a small group of people are trying so desperately to live amidst so much death. I am also trying to figure out why certain characters are getting killed off and not Lori. UGH! Her trouble making antics are annoying… although, it will be interesting now since Shane is gone. She will no longer be able to go back and forth between Shane and Rick. Sunday is the last episode! What is in the shadows? The future? Will anyone die in the last episode? Also, there is a good chance I will be moving my Walking Dead segment to Mondays. Mondays get the most hits on The Walking Dead posts, but there are few comments. Looks like I’ll be staying up late on Sunday nights next season! To me the elephant in the room is Shane (and the other guy) both dying, then becoming zombies *without being bitten*. The conclusion seems clear: Everyone is a carrier (or maybe everyone exposed to smoke from burning zombies? ), and whenever anyone dies of natural causes, they’ll turn into a walker. Is that what the CDC guy whispered to Rick at the end of S1? That the true Walking Dead were the people still left alive? It would explain how the infection spread so quickly to begin with. Hey Mark.. excellent point. It would make sense that it would be airborne.. I mean, first off, any zombie I have seen in the show has eaten people (or a horse). Who has been bitten that turned into a zombie? And remember little Sophia? She was in the barn with Hershel’s Walker Family. How did they all turn? The writers are not disclosing what is turning people… which is good. The writers definitely have something in mind; I don’t know how closely they’re following the comic, but there’s no doubt they have a plan! I hear you.. I am excited to see how this season (or half season) ends on Sunday. Especially with all those walkers headed for the group! In the books this happened a lot earlier, and a little differently. Well Shane’s death happened earlier. I was looking for it to happen in the series, but didn’t know how it would go down since Carl’s gun was taken away from him. I think that he should’ve just kept it instead of giving it to Shane to give to Rick to give back to Carl. Sure Carl was under the impression that Dale’s death was in his hands for not shooting the walker when he had the chance, but it could’ve been more believable that he kept the gun a secret then pull it out at the end as a redemption of sorts; he was the reason for Dale, but he was going to keep his father alive type of thing. Or even telling Daryl that Carl stole his gun and ask if he could keep it for protection, or just give Carl his old gun back. And Mark’s right, they had to explain how the infection started so the two at the end of the episode came back to “life” to show the characters (And us) that the walking dead don’t have to attack you for you to become one. The two guards at the city building where they were first going to drop Randall off, they didn’t see bites or scratches on them, that started the telling of how it spread. Not sure what is going to happen, or who will live in the next episode. I saw a preview and the narrator said that due to the nature of the season finally it was the only scene that they could show us. A massive horde of zombies heading to the farm, being lured by the shot Carl fired. But next season has The Governor, which means next season should be a blast. And since two main characters have died it is going to open the way for a couple of the background characters to come into the light more. I think T-Dawg might get his day in the sun, he has been pretty rational when they show him. And I am hoping Daryl and Glenn get more spotlight, although they haven’t been exactly background characters. They are out in the middle of the woods at the moment and all those walkers are around, so they may get a bit of the time of the finale. Carol could kick the bucket. She’s shown that she doesn’t like the way people have been treating her, Sofia’s death has really affected her, and Daryl no longer gives her much attention. I think she has a thing for Daryl, because of what he did for her, but he’s gone all reclusive now. I want Sunday to hurry up and get here. Man! This all sounds awesome.. I am excited to see what happens with the hoard of zombies running toward the farm.. It looks like they are surrounded. Are they going to have to uproot again? You bring up some really good points. I really don’t get Carol’s role in the whole thing. I know she was Sophia’s mother and all, and of course killing the mother immediately after the father would be kind of reaching. I know she and Daryl no longer connect. With Shane gone, and Rick being such a puss, I am hoping either A) Daryl takes over the group or B) he takes off with Andrea. Honestly, I don’t know what I want to happen! Definitely excited to see what The Governor is all about! Oh I shouldn’t have read this – haven’t see this episode yet! What gets to me is how many times zombie blood gets sprayed around, into wounds and mouths yet no one changed into zombies (until now it seems). I am really enjoying this series – I just wish they were longer. I do hope it’s not the final one. They are making more right? A third season has been greenlighted, most likely as many episodes as this past season. Thanks, Shah! 🙂 You are a doll. They are making more. They just seem to do shorter seasons. I think they are going to be trading off with another AMC show. So it will be six weeks of The Walking Dead then six weeks of Mad Men (which is another good show). Maybe whatever causes the change can be transmitted by saliva, but not by blood? I’ve been wondering about the same thing, with so much walker blood being slung around and hitting everyone. If everyone is a carrier what about the dead people in the cars at the start of the series before the whole Sophia fiasco? The writers have a lot of explaining to do. I aasn’t expecting Shane to die so soon. How will they top this in the finale? Re Jeremy’s comment that Daryl doesn’t give Carol much attention anymore: He was staring at her when they were standing over the graves saying their farewell to Dale, so I think there’s still something between those two. There’s still something there. You could see it in both of them when he yelled at her in the one episode when she went to talk to him at his chimney. But he just isn’t showing it like he was. He has kind of started going back to the way he was in the first season. hey Emma.. 🙂 Thanks so much for dropping by. I think Daryl doesn’t want to feel anything for anyone.. because he has been a loner for so long.. but I think on the flip side of that, he wants intimacy, like most non sociopathic humans do. 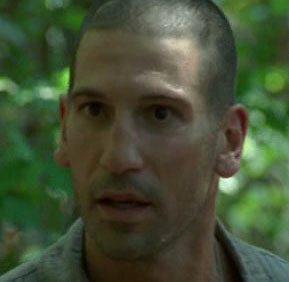 I was also shocked when Shane died. Maybe the people in the cars died before the infection reached them, or maybe they died of head injuries that we didn’t see. or, maybe the writers have a plan that’s way smarter than anything I could come up with! It’s fun to speculate, but a lot doesn’t seem to fit. I can’t wait to see where the next season goes. There are a lot of elements from the graphic novels, but they aren’t quite the same, which is great. In the graphic novels, they figure out that everyone is a carrier and that the zombie bites kill you, not infect you. Of course, no one knows anything for sure, which is good because if in reality, a zombie apocalypse went down, we’d all be in the dark until we figured it out. My thought is that zombie-ism is a virus that keeps mutating, which would explain why all the corpses didn’t get up and move before, but now they do. If you noticed, Shane “woke up” a lot faster than Andrea’s sister did, which lends credence to my theory that the virus is mutating. Exciting stuff! Okay. The finale has aired, and I’m sure you’ve seen it. So spoilers follow. You have been warned. 1. Thoughts on Shane. I think Lori egged him into what he did–killing that kid and attempting to kill Rick. Remember when she went to talk to him out at the windmill? I think that’s what set him off. And I think she knows exactly what she did. 2. If noticed in the finale, Rick seems to have adopted a harsher stance. Remember what he said? This is no longer a democracy. 3. Did you notice that Carol asked Daryl to go away with her and he blew her off? Wonder what’s going to happen with that?